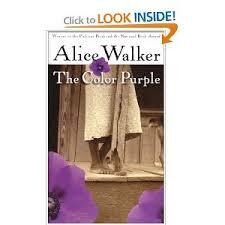 I read The Color Purple (hereafter, Purple) by Alice Walker for the first time in college. Some of my classmates were amazed that I’d never read the book or seen the movie before. The book, that is. However, I have a tendency to love the book more than the film version, only because more often than not, the film leaves out all of the good parts. I introduce you to: Field of Purple. I opted for grey and purple, as the only thing in color on the cover are the flowers. 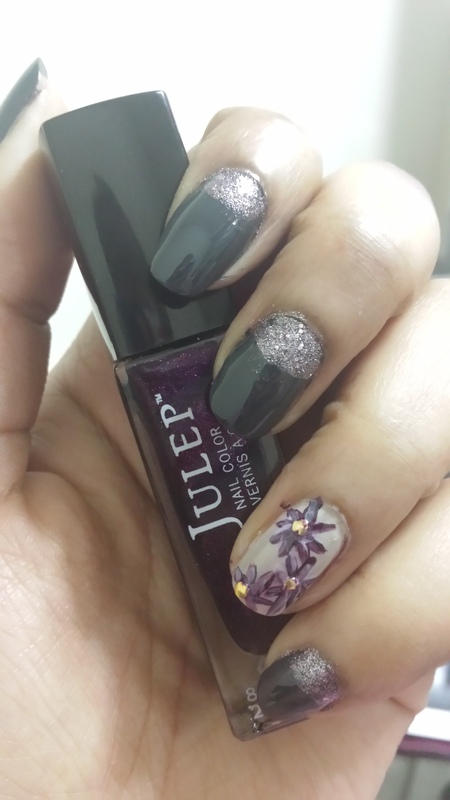 Deep grey and purple are Mona and Trina by Julep (Trina is pictured), sparkly lavender is Cameron by Julep, and the pale grey on the accent nail is Skull and Glossbones by OPI. The little pale highlight on the flowers is Lilacism by Essie. May we all be able to notice the color purple in a field and appreciate it. Have ideas for future books for me to create manicures for? Email me!